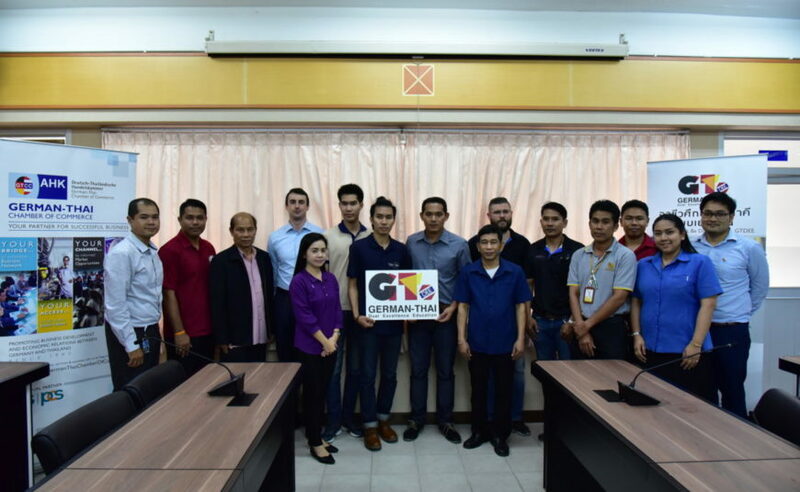 On 1 December 2017, Dr. Kamonsak Suradom and Mr. Katiphot Kanoknorrasade participated in the meeting with the trainers about Preparation of GTCC Final Examination 2018 in Electric Power and also visited the apprentices batch 2016 from Chonburi Technical College trained at the company. 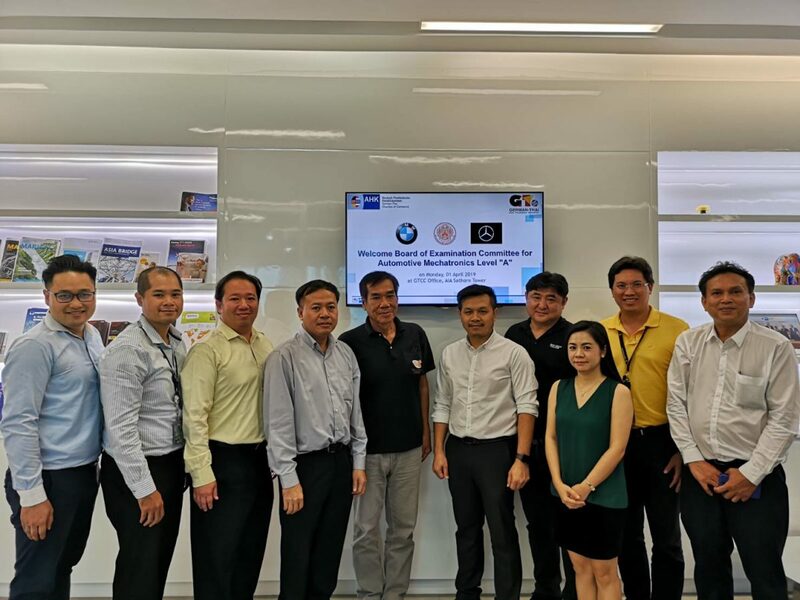 The meeting was held at Amata B.Grimm Power, Chon Buri. 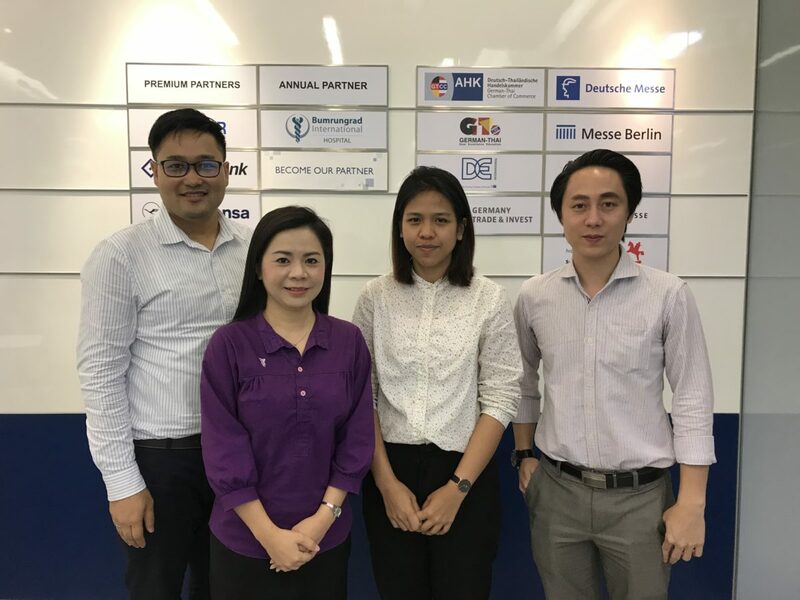 Meeting with Bangkok Airways Public Co., Ltd.
On 29 November 2017, Senior Project Manager Dr. Kamonsak Suradom and Senior Consultant Mr. Katiphot Kanoknorrasade participated in the meeting with Mr. Tongsook Chompoonuch, Vice President Maintenance of Bangkok Airways Public Company Limited, about introduction GTDEE Project and cost calculation for 2-year programme. 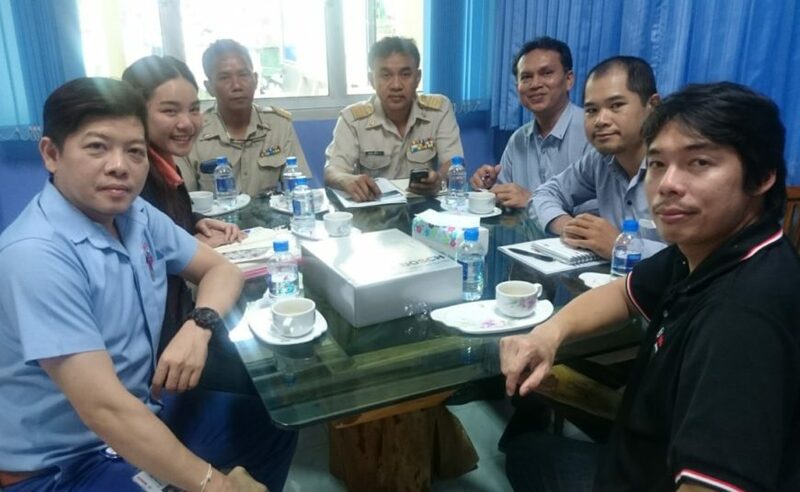 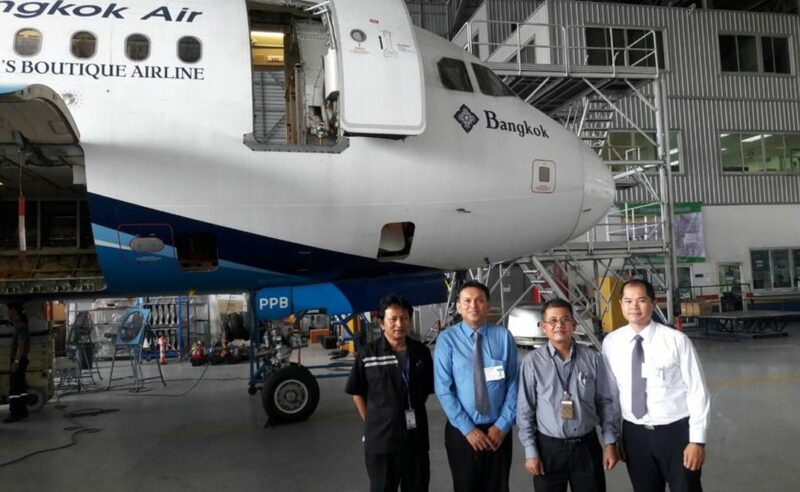 The meeting was held at Bangkok Airways PLC., Don Muang Airport. 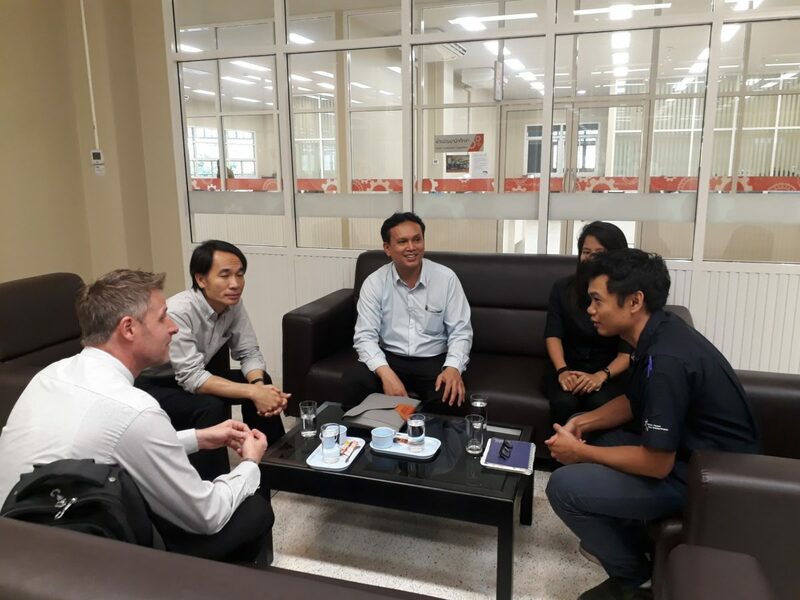 On 27 November 2017, Dr. Kamonsak Suradom and Mr. Katiphot Kanoknorrasade participated in the meeting with Bosch Gasoline System and Thai-Austrian Technical College about cooperation working together and Apprenticeship Programme batch 2018. 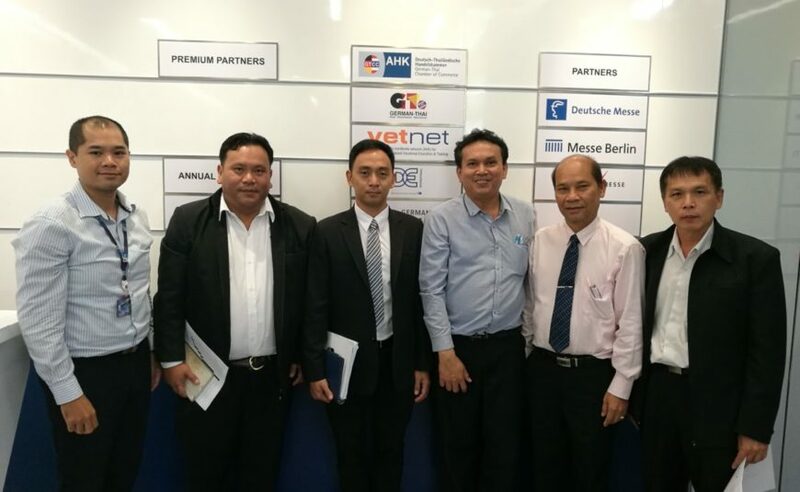 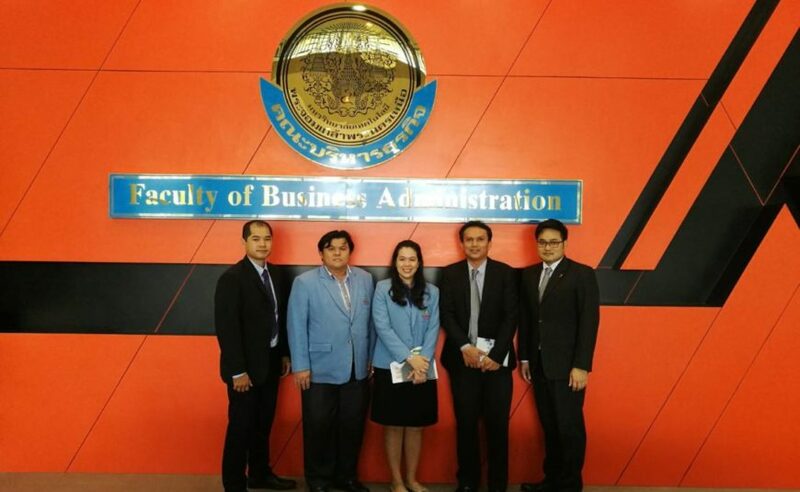 The meeting was held at Thai-Austrian Technical College, Chon Buri. 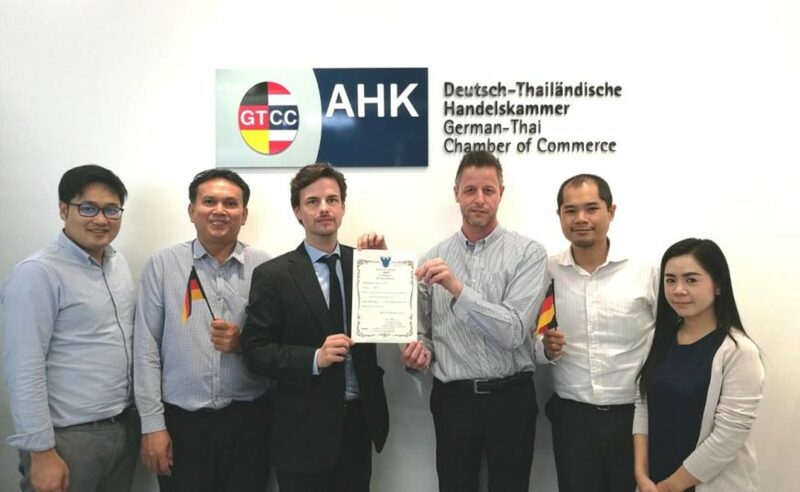 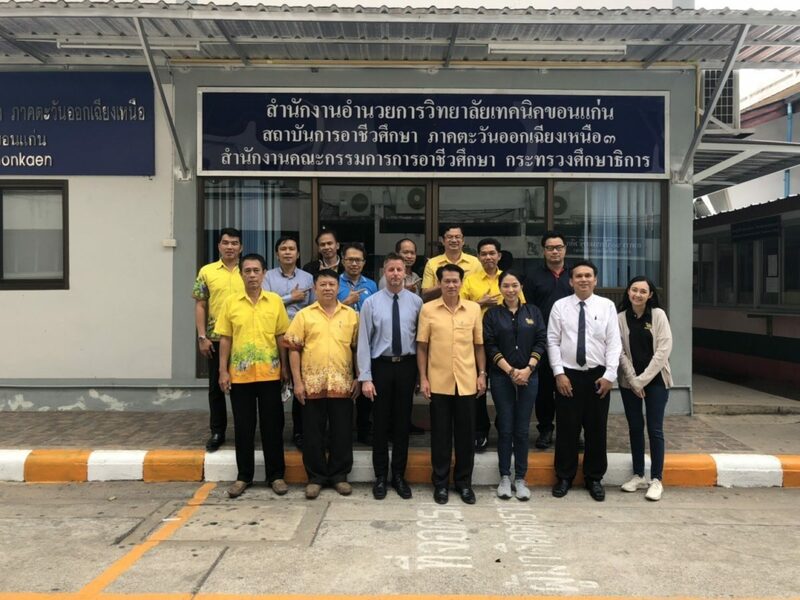 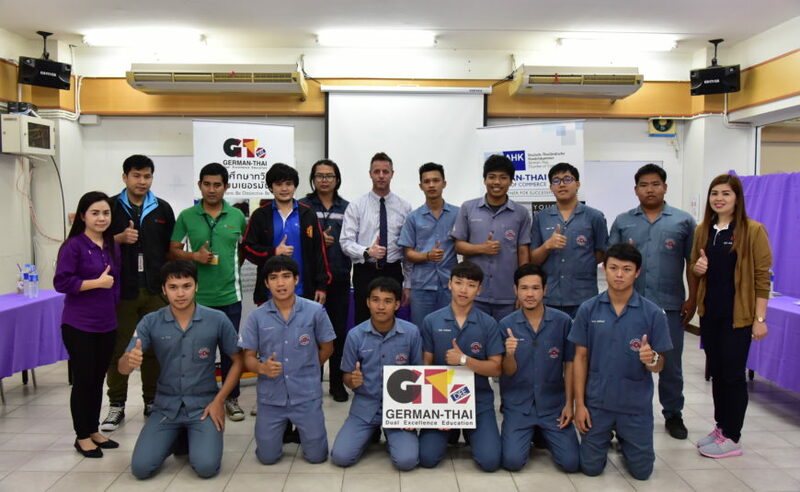 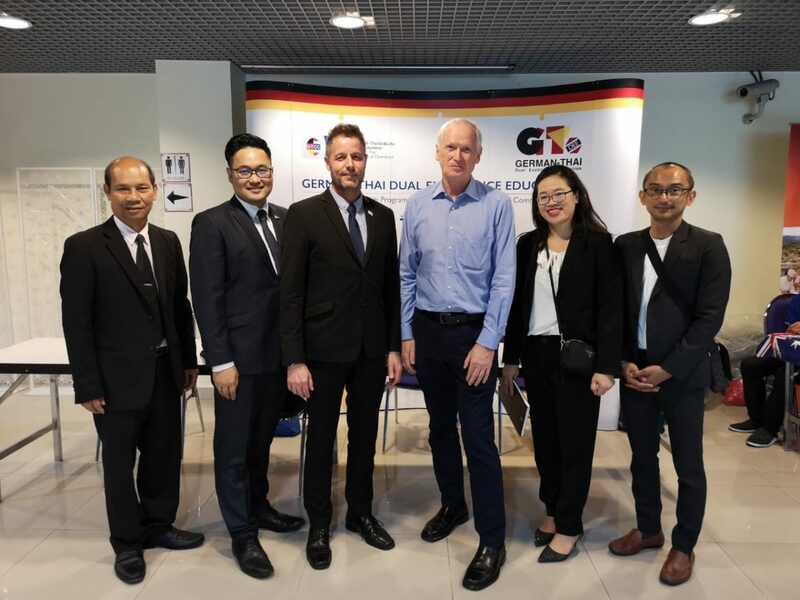 On 21 November 2017, the GTDEE Project Director Mr. Markus Hoffmann organized a Basic English for Career Workshop for the apprentices of batch 2016 from Robert Bosch Automotive Technologies (Thailand) Co., Ltd. and Amata B.Grimm Power Limited. 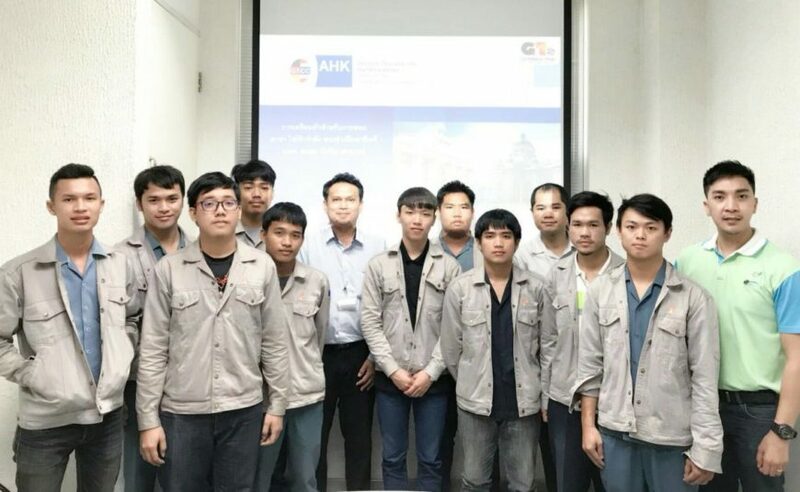 The workshop was held at the Eastern Technological College (E.Tech) and supported by the college. 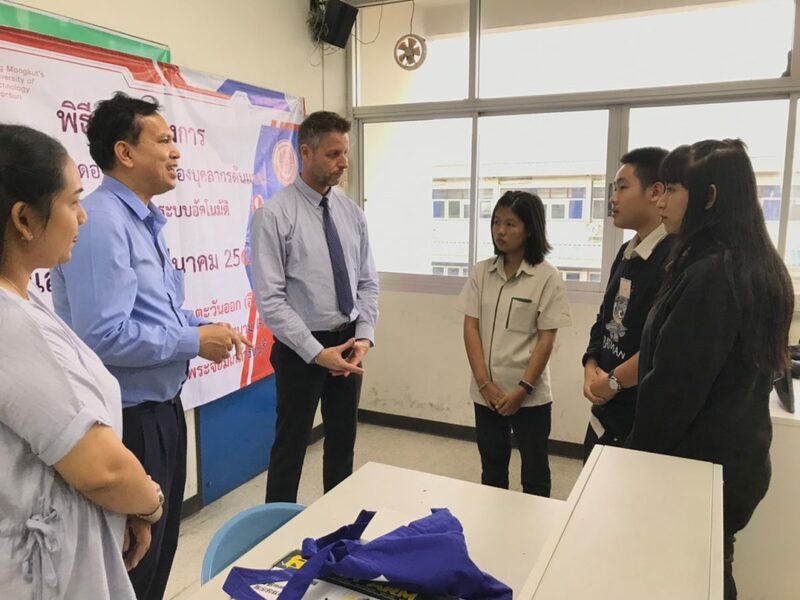 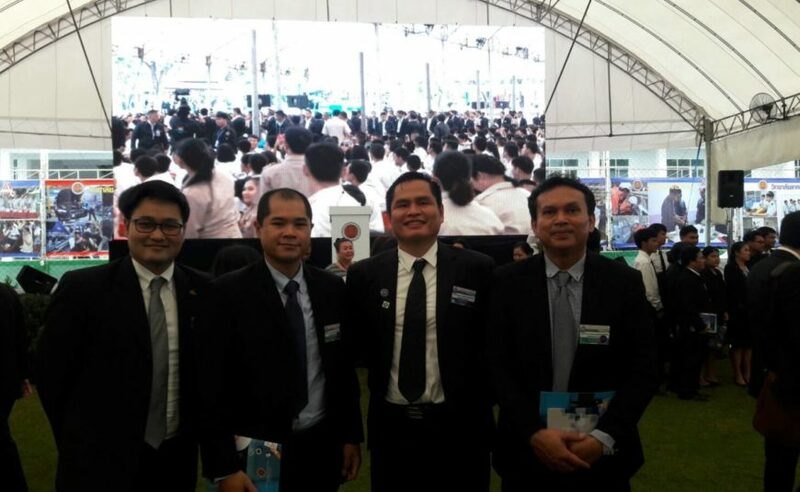 On 20 November 2017, GTDEE team, Dr. Kamonsak Suradom, Mr. Panuwat jaitham and Mr. Katiphot Kanoknorrasade participated in the Eastern Economic Corridor Technical and Vocational Education and Training Career Center: Chon Buri (EEC TVET Career Center) hosted at Thai-Austrian Technical College, Chon Buri, which was visited by the Prime Minister Gen. Prayuth Chan-Ocha.